This post is sponsored by AVON. All opinions are my own. During the summer months, I think it's safe to say we spend most of our time outdoors. With that being said, I am so excited to be teaming up with AVON because their Skin So Soft Bug Guard Collection has me covered for anything and everything. If we're not on a picnic blanket in one of the city's amazing parks we're either at the beach, riding the ferry or hitting an outdoor movie after sunset. So along with SPF, I need bug spray. A lot of it. 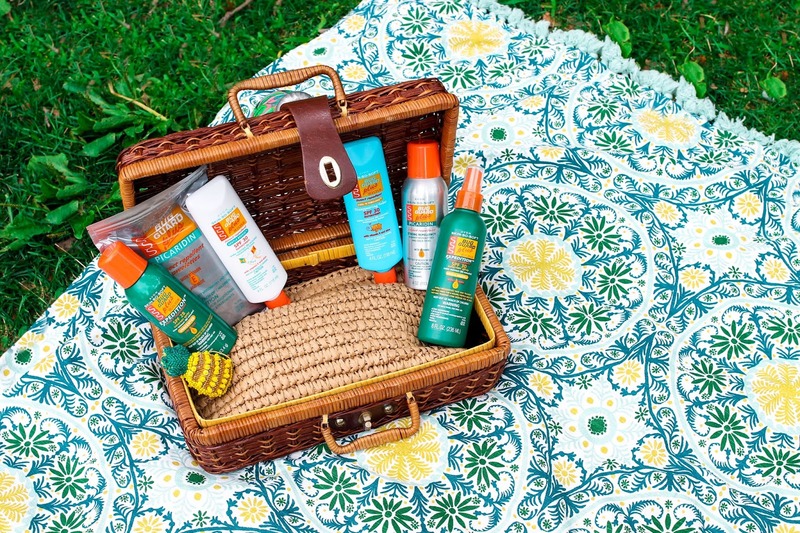 As a kid growing up in Florida our cabinets were filled with AVON’s SkinSoSoft products to beat the constant swarm of mosquitos, and it worked, so you better believe I added the entire AVON Skin SO Soft Bug Guard Collection to my bag of outdoor summer essentials this year. Go ahead, enjoy your time outdoors without the added aggravation of pests, bug bites and sunburn. and deer ticks for 10 hours. hours and deer ticks for 12 hours. hours. The re-sealable bag holds 8 packets. What it is: water-resistant formulas with SPF 30 protection. blue and disappears when rubbed onto skin. Perfect for kids who hate sunscreen application time!